Restoration of an ecosystem can embody many individual processes; invasive plant management, rehabilitation of native plants, recovery of native animals, prescribed burning, and addressing dysfunctional hydrology among many others. Hidden Pond Preserve is a rare example where we have been able to start the restoration process on all of these components on a 67-acre inholding within the second largest state game area in Michigan (Barry). Since 2006, SWMLC has been working with partners to restore the ecological health of this former crop and dairy farm. We will go through the process of ecosystem restoration on this preserve, the logic in our approach, and the collaborations between agencies, practitioners, researchers and donors that made it possible. We will take a close look at a recent stream restoration on the property as a case study to demonstrate the process. 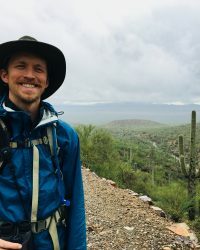 Mitch Lettow works as a stewardship specialist, taking care of, and connecting people to the many nature preserves protected by the Southwest Michigan Land Conservancy. With an overall focus on ecological restoration, Mitch has a background in research, business, and non-profit work all tied to the restoration of natural areas. He is also an avid birder, runner, hunter, angler, and cat whisperer. 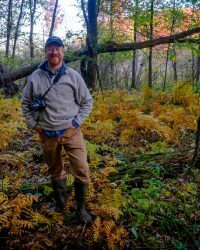 Nate Fuller is the Conservation and Stewardship Director for Southwest Michigan Land Conservancy. 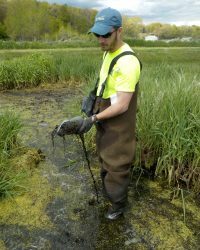 He works with partners and volunteers to develop and implement conservation and restoration projects throughout southwest Michigan. Nate has 20 years of experience working for conservation organizations providing environmental stewardship and education. Brian Majka is a professional restoration ecologist with extensive experience in business management and development, project oversight, design and implementation of wetland construction, soft shoreline engineering, prairie planting, natural areas management and best management practice (BMP) design projects with more than 18 years of experience in throughout the Great Lakes and Eastern United States. Brian has a B.S. in Natural Resources and Environmental Science from Purdue University and is responsible for project management of ecological restoration design and implementation projects for GEI. Brian also actively gives presentations on various ecological restoration-oriented topics throughout the country.